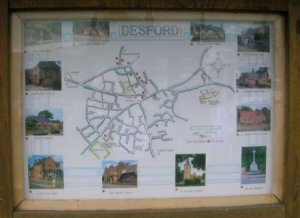 The Desford Village Map was commissioned by the Parish Council for the benefit of the villages and visitors. It was designed by Roger Fairbrother and Richard Boam took the photographs and added them to the montage. 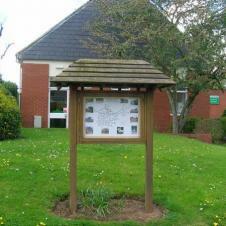 It is located on the grass between the Library and Manor Road, Main Street and High Street junction. It identifies the village streets and the main places of interest in the village by means of numbered locations and associated photographs. 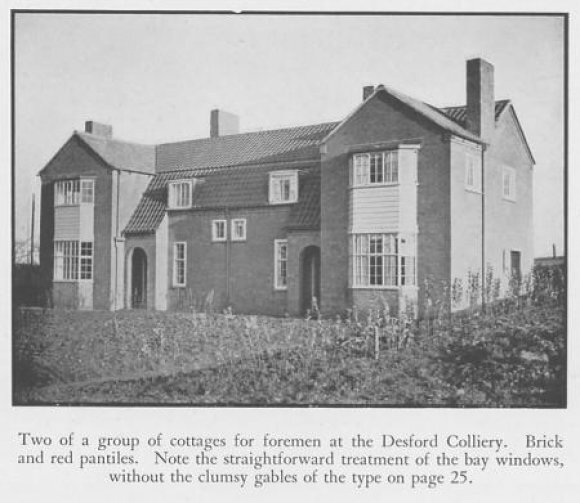 This photo is from a book produced by the Campaign for the Protection of Rural England in the 1930s (but published after WW2) which illustrated the effects of good and bad development on rural Leicestershire. ©CPRE used with permission. Mrs Harris: Well my father was a deputy at Desford Colliery. When he first worked at Desford Colliery we did live at Barlestone and they used to have to walk to Desford Colliery. 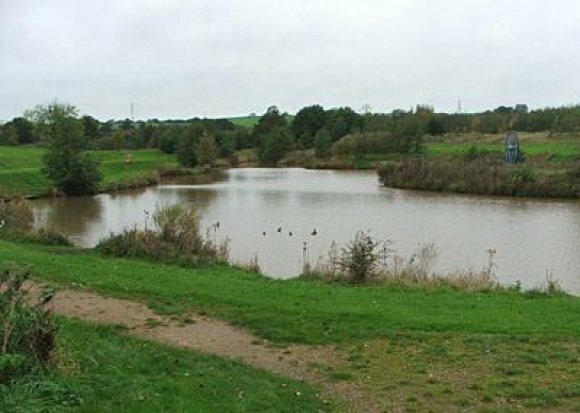 Then they built some houses especially for deputies and officials, near to the colliery, and my dad was offered one of these, and I remember a morning in November, a very crisp morning, and Mum pushed the pram with the little children and I walked along the side. I'm not sure how they got the furniture over there but I know there was a wheelbarrow used for a sack of potatoes. We went to this house and we thought it was absolutely marvellous because we had a toilet just outside of the back door, where we used to have to walk right down a yard for the toilets at Barlestone, and we seemed to have modern facilities, but they wouldn't call them modern facilities today! I think some of the highlights of my father being a deputy was at Christmas time when the deputies were given a brace of pheasants, and that to us was absolutely wonderful, because you didn't have turkeys and that unless you were very, very rich, not in that day, and to us, a brace of pheasants, well, we were in heaven sort of thing. Mrs Harris: The colliery management, Desford Colliery management gave them to the deputies. They weren't all deputies that lived down there, there were some electricians of course. In fact we used to have football teams, we had a field at the back of the houses. The men used to play the ladies at football, cricket, we had sports, there was a swing in the field, we used to have bonfires – you name it we had it, even to a party in the canteen on Boxing Day, and all the people down Heath Road, the menfolk paid ten shillings (50p) a week, which was a lot of money in that day, I think for the last two or three weeks, and then we had a huge party, the whole street, it was wonderful. 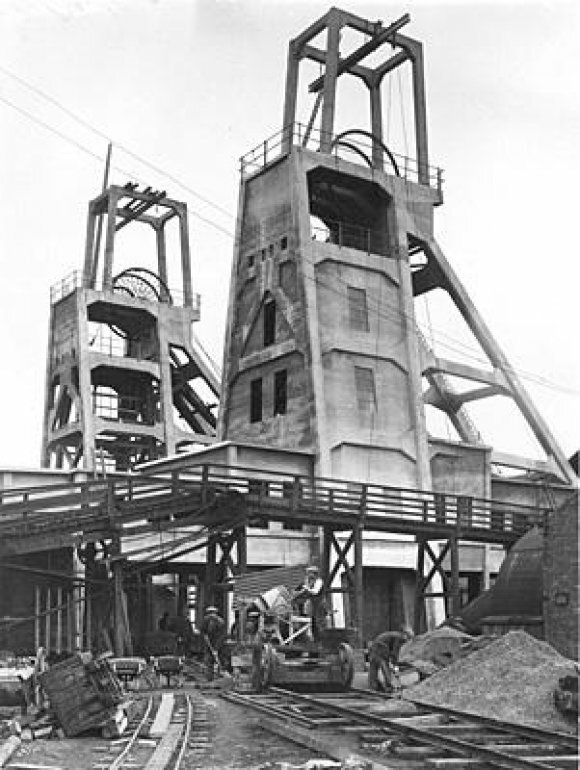 Desford Colliery, date unknown. Photo courtesy of the Record Office for Leicestershire, Leicester & Rutland. Interviewer: Which village are we talking about? Mrs Harris: Well, then they called it Desford Colliery Village, it was between Bagworth and Desford Village. The buses used to have a title, Desford Colliery Village. Interviewer: Is it still standing? Mrs Harris: No, no, in fact there's nothing there now, nothing at all, no houses, nothing. Interviewer: So it was purely for people who worked in the mines? Mrs Harris: That's right, just Desford Colliery, yes. Interviewer: Was it just houses or were there other facilities? Mrs Harris: No, not for the start, no, just houses. Of course the colliery as you'd expect, you know, but nothing else. That came very, very gradually. At the time when we got married my mum and dad plus the rest of the family had been promised a house a little bit further up the street and they'd made that into a shop. The shop would be open before 6.30 in the morning so that the miners could come in and get a little refreshment, whatever they needed to take down to work. My mum and dad had that position. Then I used to help Mum in the shop, if the men wanted any sandwiches making - because that was before the days of the canteen – I used to help her to put the sandwiches up. The men used to come in for cigarettes, but they weren't allowed to smoke really, but the men came in for cigarettes in the early morning. Mum had a list with the people's names on and they used to say, 'I'll pay for this at the end of the week', they did, the majority of them did, yes they were quite loyal like that. It kept us quite busy looking after that little shop. Interviewer: Was that their own business or were they paid to do it? Mrs Harris: It was Mum's own, Mum and Dad's business. They didn't own the house or anything like that. But then when war started and we had to have ration cards and points for this and point for that, it got too much for Mum, she couldn't quite fathom all these things out and she carried on a while but eventually the canteen was built and the men could get meals at the canteen, so Mum said it wasn't really worth it. Mrs Harris: There was, what, 19 houses to start with, then another five were built after. We did get trades people down. Interviewer: Can you remember any in particular? Mrs Harris: Trades people? Yes, we used to have a lady come from Desford with a lorry. She used to drive this herself and she used to bring vegetables and different kinds of groceries on the back of this lorry, and we used to look forward to her coming because when she came we had one penny worth of toffees between the five of us children. Mrs Weston was the lady's name and she knew Mum had five children, and she used to put 20 toffees in a brown paper bag and we used to share these out, so that was four each for one penny, which was great. That's all we could have in a week, just the one penny worth of toffees between the five of us, nothing more. We had used to have ice-cream man come down, he used to shout 'okey pokey', I remember that distinctly, and his name was Mr Milnes, and he lived in the village of Bagworth. He used to sell ha'penny cornets but Mum couldn't afford to let us have those, very seldom, that was a real treat when we did. Then there was Mr Miles, he was the butcher, and he used to have a little shop in the square at Bagworth. When we were first married I didn't quite know the joints of meat and I used to say to him, 'I'll have half a crown's (12p) worth of beef please', and he used to bring us a lovely joint of beef for half a crown.